Hello to all. I was using squidoo to write about what I love to do and some how-to's. seems they are closing but all is well sence I was not liking them locking out very good lenses that made people money, Humm think that might have something to do with. I Love to write about my yorkies, breeding them, cooking, family, just a whole list of things. I'm getting a little older now and just want to pass on things I know about or like one of my lenses things others never knew about. 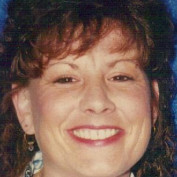 I just want to have fun and meet some old friends from the other sites along with new ones. Most inportant is write about things people may enjoy reading. So here is to new beingings and new friends! 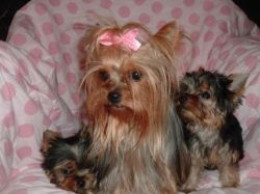 This Hub is about my Yorkshire Terriers that I used to breed and would sell once in a while. I call them my babies because there just like them. I also have important info. about there health too.